ALL Georgia LMT PLEASE BE ADVISED!!! ALL WORKSHOPS ARE NCBTMB APPROVED. The Georgia Board of Massage Therapy ONLY ACCEPTS CE HOURS FROM THE FOLLOWING LISTED WORKSHOPS WITH *** IN FRONT OF THE CLASS TITLES. 215 W Poplar St., Rogers AR 72756. *All dates and times are subjected to change. Please visit the website for up-to-date information. *NCBTMB approved provider numbers #385298-00 and #336488-00. If your main desire is to use reflexology on yourself, your family and friends, this seminar of 28 hours will serve you well. You will be able to use what you learn on yourself and others every day, for the rest of your life. *Hour session of Foot Reflexology *Hour session of Hand Reflexology *Hour session of Ear Reflexology *Contraindications *How to confidently answer questions on origins of reflexology, how reflexology works, what tender spots can indicate *Western charts of Foot and Hand Reflexology *Six basic foot and hand reflexing techniques * Five basic ear reflexing techniques *Combined French and Chinese map on the Ear Reflexology chart. Documented History, Two theories, Difference between ear Reflexology and Auriculotherapy, Structures of outer ear, Integration of French and Chinese charts, 5 vital "Master Points" location and use, Five specialized touch techniques specifically for the outer ear, One hour Ear Reflexology routine as the basis of flexible approach to reflexing, Beginning exploration of the subtle pulses of the outer ear, Dramatic advantages of Ear Reflexology. Help yourself, your family, friends, & clients to be pain free & have far better health. Learn a time proven one-hour Hand & one-hour Ear Reflexology Routines that can be used separately or combined with other modalities. Add this to the Foot Reflexology workshop. Working with all three is far more effective than just Hand and Ear Reflexology. For more serious students and the professionally minded, the Full professional certification can be earned upon successfully complete of the 28 hours of Basic Seminar, the 150 hours of Advanced Training with written and practical examinations. Yes, our standards are the highest. You, your family, friends and clients are worthy of the best. The 28-hour Introduction to Foot, Hand and Ear Reflexology Seminar is the prerequisite for acceptance into the Advanced Training! In the recent rising attention to the Asian Foot massage services around the country, this class is to introduce the basic techniques and routines used in the Asian Foot massage therapy. The students will learn the few hand, fingers and thumbs techniques used and will also learn a full one-hour routine of Asian Foot massage. Also, the students will learn the basic Asian massage routines of working on the legs, arms, shoulders, neck and back. Students are required to bring their own massage table, massage oil or combination of oil and lotion, sheets (both fitted and flat) for the massage table, 3 medium size towels and 3 large bath towel, foot soaking bowl (none electric) and a blanket. Contact Ko Tan if you have any questions about the supplies. Facial Reflexology is a science and art of utilizing the mini map of the human body found on the face to balance and rejuvenate the whole body. Face Reflexology uses a series of fingers and thumb techniques via the mini map on the face that resembles the human body to achieve balance to the body, mind and spirit. 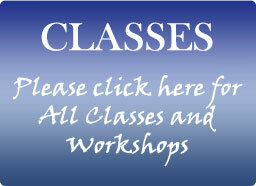 In this class you will be learning the 2 important mini reflexology maps of the body found on the face. Along with the specific techniques used on the face reflexology, the students will also learn the 3 major face Reflexology routines and a lymphatic drainage routine on the face. There might be discussions about the basic concepts of meridians, herbal formulas, essential oil remedies and Bach flower remedies utilizing the About Face book by Ko Tan as tools to learn how to look and feel great. This so called "dancing Yoga massage" is based on more than 2,500 years of combined wisdom from the Traditional Thai Medicine, assisted Yoga stretching of Ayurvedic healing and the meridians energy alignment of the Traditional Chinese Medicine. Using slow, gentle rocking movements, the therapist applies compression with thumbs, palms, elbows, knees and feet to stretch soft tissues and harmonize the receiver's vital energies in series of choreographed moves. This graceful art of Thai massage is designed and adapted to use on the massage table, leaves you relaxed, energized and more flexible. Thai massage has its roots in a spiritual tradition, and its purpose is to heal a person physically, emotionally and spiritually. Thai-Yoga Body Massage is based on an ancient form of Thai Medicine that combines assisted stretching, Yoga positions of Ayurvedic healing and acupressure energy alignment of Traditional Chinese Medicine. Buddhist monasteries in Thailand have taught Thai Medicine for the past 2500 years, indirect lineage from the Buddha's physician and friend, Dr. Jivaka Kumarbhaccha. This workshop is perfect for massage therapists, body workers of all kinds, personal trainers, physical therapists, athletes, couples, anyone who wants to learn ways to gain flexibility, relieve pain from tension, increase energy for themselves and their clients. You will learn a choreographed form of this "dancing massage" that will address your client in a holistic manner. Thai-Yoga Body Massage is fun and effective. This form is done on a mat on the floor. Hot stone massage is a form of bodywork that involves the application of heated stones (thermo therapy) to the body within the context of a therapeutic massage. Round, smooth stones are heated to luxurious warmth, and used in the palms of the hands to massage the body. Heat penetrates deeply, promoting profound relaxation, increased detoxification, and relief of long-standing muscular tension, stress and fatigue. In this class the history, indications, contraindications, and the benefits of hot stone therapy will be discussed. Students will learn how to use the basalt stones or other appropriate types of stones to perform this massage service. Both the pre and post preparations and how to clean the stones will be covered. The students will learn a one-hour routine in this seminar that they can use or add to their existing services. This seminar is to introduce a new Eastern body therapy to the students. There will be discussion of the basic theories of the Traditional Chinese Medicine (TCM) - the Yin and Yang theory, the 5-element theory, the TCM Organ systems and the Essences of the Body. Using various techniques of Shiatsu, Tui Na and acupressure, the students will explore and learn how to work the 12 major meridians according to the Traditional Chinese Medicine. In addition, the students will learn the 6-steps to calm the client. 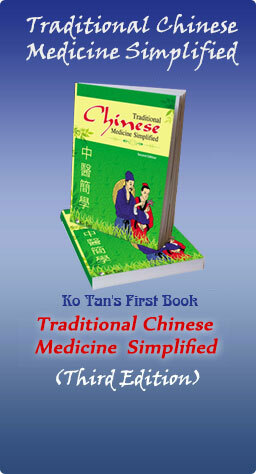 There will be discussion of the 4 methods of TCM diagnosis. The work will be done on the floor. Please contact Ko Tan to find out the different material used in this kind of work and to get hold of the appropriate material from different sources. Pregnancy is a time of major structural, psychological, social and spiritual changes for a woman. This class explores the conditions of the mother in the three trimesters of pregnancy till the time of delivery. Students will learn the various contraindications of working on pregnant women during each of the trimesters. Students will have time to work on some pressure points that will benefit the second and third trimester's conditions. This seminar looks at the Eastern philosophies including some acupressure points to be avoided during pregnancy massage. The common discomforts of pregnancy and the changes of a mother's body will be discussed. The hands-on portion of this class is divided into using 2 styles of massage techniques using Prego pillow and side lying position. Students will learn how to work with appropriate pressure, locations, positioning on the table, and various ways of draping and propping the pregnant client. The conditions in all the stages of pregnancy including postpartum period and the benefits of massage therapy will be discussed. This workshop is focus on hands-on work on the full body lymphatic system. The history and theory will be explained and discussed. The majority of the workshop is focused on the techniques learned in class and how to perform a full body lymphatic massage including the face and neck. This work is very different from all the massage therapy works because the technique is very light and requires a lot of concentration to be effective with the therapy. Students will learn how to work with appropriate pressure, locations, positioning on the table, and various ways of draping the client. The conditions in all the stages of edema and the benefits of this type of massage therapy will be discussed. This workshop focuses on using slow, gentle rocking movements, thumbs/palm/elbow/knee compression to stretch the soft tissues and to harmonize the receiver's muscular body system in a series of choreographed moves. This graceful art of stretch massage is designed and adapted to use on the massage table. Participants will review some of the muscular structures of which this style of massage will positively influence. This therapeutic massage leaves you relaxed, energized and more flexible. Stretch massage has its roots in many cultural massage traditions around the world and its purpose is to heal a person physically, emotionally and spiritually. *Facilitates relaxation *Heightens awareness *Frees blocked muscular fibers *Invigorates the nervous system *Relieves pain and muscle tension *Increase ability to absorb nutrition *Strengthens and rejuvenates the body *Improves circulation of blood and lymph *Increases flexibility *Gives a general feeling of well being *Assisting in balancing the body, mind and spirit *Enhances elimination of wastes and toxic debris from physical, mental and emotional strain. This workshop focuses on 3 therapeutic face techniques - manual lymphatic drainage for the face and neck, revitalizing face massage with pressure points and ARH jade stone face therapy. Participants will learn 3 distinct techniques to restore and to invigorate the face and the body. This workshop will have discussions about the various factors that affect the health of the face and body. Topics like essential oil remedies, herbal formulas, Back Flower remedies and other age-old remedies might be touched upon. The goal of these knowledge and techniques is to help you to achieve balance to the body, mind and spirit while learning how to look and feel good. 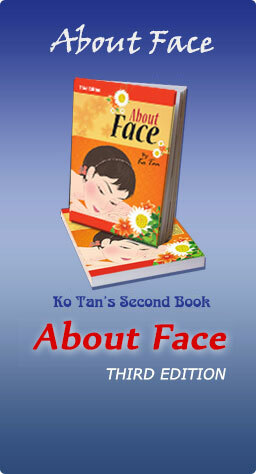 Ko Tan's book, About Face comes with the class. This is a short course to introduce as well as to enhance your existing foot and hand massage. Participants will learn some techniques of foot and hand massage therapy with more emphasis on the muscular and soft tissue relaxation and de-stressing. The participants will learn the few hand, fingers and thumbs techniques used and will also learn a routine of foot and hand massage. 1. Fifty dollars of your deposit is a non-refundable registration fee. This fee covers the administration costs and holds your space in the class. This fee is only returned if the class is cancelled by ARH. 2. The remainder of your deposit is fully refundable if you cancel seven or more days prior to the date of the class. 3. Fifty percent of the remainder of the deposit is refundable if you cancel between 6 days and 24 hours prior to the date of the class. 4. No refund will be given if you cancel less than 24 hours prior to the date of the class or fail to attend the class.